What is the evidence for dinosaur and other life form extinction? There are several indicators of dinosaur and other life form extinction in the fossil record. But one of the best ways to determine extinction is by the lack of fossils in a rock layer. For example, above the top rock layers from the Cretaceous period, there are no known fossils of dinosaurs; and just above the top rock layers from the Permian period, the number of fossils—from animals to plants—greatly diminishes. The reason is logical: the animals that die leave behind fossils; when they become extinct, no more fossils are left behind. Such evidence in rock layers makes it seem as if one minute the organisms were there, and the next they disappeared. In reality, most of the extinctions took place over thousands of years. 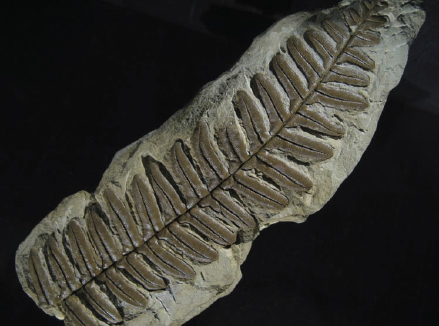 Along with many animal species, a large number of plants became extinct at the end of the Cretaceous. As with other species, ferns died off, as well, but layers of rock filled with fern spores are indicative of how these plants recover quickly from a mass extinction (iStock).